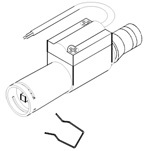 May be used for universal installations, however, we recommend our Type 320. Cable fittings should be ordered separately. 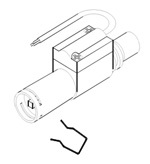 Standard 12 volt Universal Transducer. 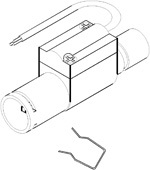 Refer to Installation Note 1 for cable kit fitting. 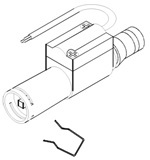 Cable fittings should be ordered separately. 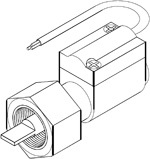 Standard 24 volt Universal Transducer. 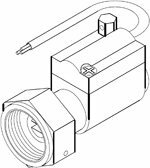 Refer to Installation Note 1 for cable kit fitting. 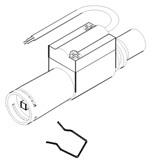 Cable fittings should be ordered separately. Ford Orion and Mondeo gearbox fittings. 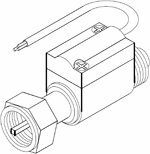 Refer to Installation Note 3 when using these transducers. Toyota and Suzuki gearbox fitting. Refer to Installation Note 2 when using these transducers. Nissan and Mitsubishi gearbox fitting. 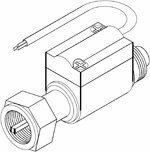 Refer to Installation Note 2 when using these transducers. Supplied with anti spreading ring. 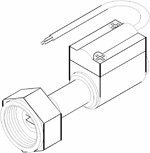 Refer to Installation Note 4 when using these transducers.